The Counter Top is a dynamic tile that will connect with others' of the same style near it. It's a stylish and simple way to divide areas in rooms, and also acts as a table! This table is no ordinary table, it may seem like just a simple table, but in fact, if you rotate it, you can pick from 4 styles! (same as the Counter Top styles above). Also acts as a table. 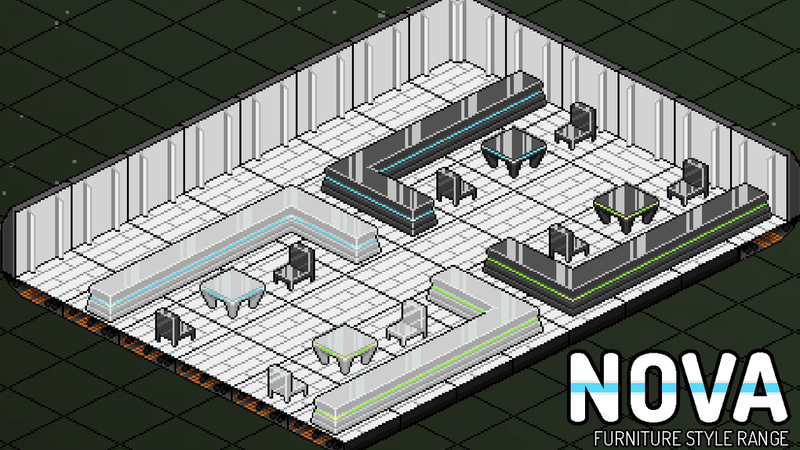 The set comes with matching White and Black chairs to complete your Nova-themed rooms. I intend to add more to this range soon! haha love the Nova range. So swanky!